Sensex is a term used to describe the index representing the flow of number of companies that are available on the Bombay Stock Exchange (BSE). Sensex indicates the increase and decrease of prices of the various companies in India. The sensex has 30 stocks on its scale. This is the synonym of Sensex on the National Stock Exchange. It works just like the Sensex. However, the Nifty involves a higher number of companies which is 50 than the Sensex which has 30 companies. A bull refers to an investor who is eager to make money from his/her stock, hoping that the company’s share market price will increase. A Bull only sells his shares at a price higher than what he bought it for. A Bear is similar to a Bully. The main priority of a bear is to make profit. A bear can sell shares in his possession and later on buys those same shares at a lower price. Squaring Off can be said to have occurred when traders of stock must have made a transaction of either buying or selling of shares and on the long run retract the trade in order to complete a transaction. Rally in the stock market refers to the constant interest or gains made by either Sensex or Nifty in the course of the day’s business. This interest becomes a rally when its occurrence is constant. When the values of Sensex of Nifty fall, it is known as a crash. During this period, the market experiences a down turn which is favourable to bears. It occurs from time to time in the stock market. Correction is a situation whereby either the Sensex or Nifty goes up for a few days and later own reverses, reducing its added gains. This enables the stock market to regains its balance for effective market operation. In other words, it is a positive sign. As a way of encouraging or thanking its members, a company gives them a certain amount of free shares. The management of the company seats down to decided on the percentage of bonuses to be given to its members. 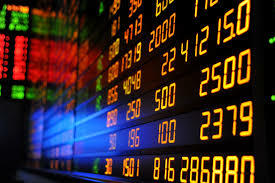 Dividend of shares is derived from the face value of shares, which is the minimal price of a company’s available shares. The dividend is given to holders of shares in a company as a way of thanking them for their patronage and loyalty to the company. On a book closure date, companies of shares end business for the day, after they must have announced their bonuses or dividends. They also take note of their shares and their holders. Non share holders of the company who want to benefit from these bonuses and dividends will have to buy the company’s shares before the 28 of February and the necessary transfer of these shares into their accounts must be done before the same date. The stock market has a reservoir of terms; these are just some of the most important ones which are very useful to share holders and operators.